I get inundated by people who want me to write about their books, their websites, their counseling services and their products. And, sadly, 80 percent of these requests come from people I just can’t endorse. I can tell from between the lines that they are doing this for the wrong reasons and that their only goal is to make money. Usually the goal of “helping people” isn’t on the list at all. That’s why I was pleasantly surprised when–during a rare moment of boredom–I checked out a site and found that not only did the it provide quality content, but it also was content that I could learn from and use to make my marriage better. Let me tell you: after reading as much as I’ve read about marriage, that doesn’t happen all that often these days. I spent a good hour on this site watching every single video that the two marriage counselors had put together. I then spent some time scheming ways to get my husband on said site. And then I wrote the publicist who’d ask me to go there in the first place and I thanked her. What follows is one of the videos from the Power of Two. This is a membership site that costs $18/month. If you are interested in checking it out, they offer a two week free trial and money back satisfaction guarantee. They are offering ProjectHappilyEverAfter.com readers 75 percent off the first month’s fee. If you are interested in joining, email info@po2.com and say you came from ProjectHappilyEverAfter. 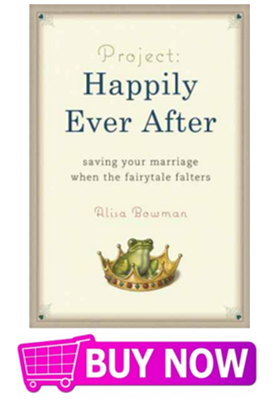 Note: In roughly a month I’ll be launching a giveaway for people who pre-order Project: Happily Ever After. A free membership to Power of Two will be one of many cool prizes you can win, with others ranging from vouchers for marital counseling to stays at romantic B&Bs to a Kindle that is fully loaded with all of the books that helped me to save my marriage. If you pre-order now, you will make me very happy. Just save your receipt so you can enter the giveaway. (And don’t worry if you’ve already pre-ordered and do not have proof of purchase. There will be other ways to enter).